Today's Babe makes us want to take a business class (or twelve.) 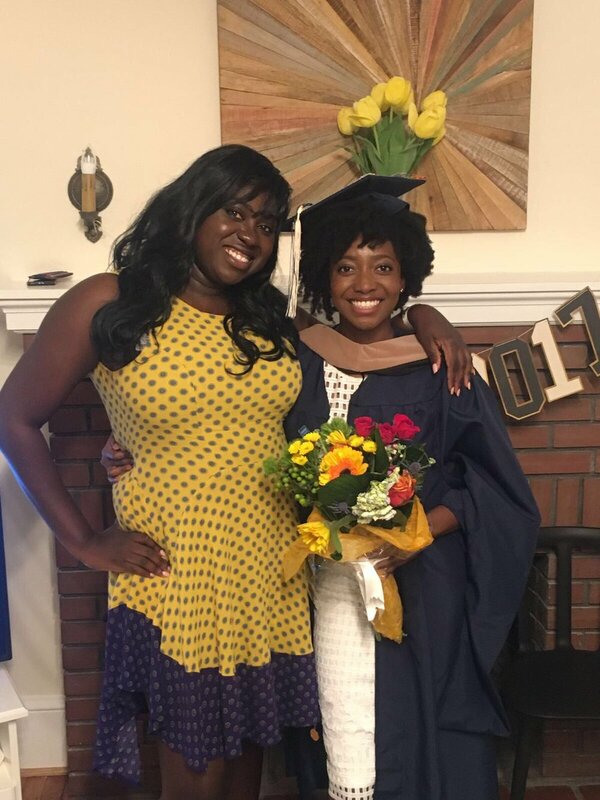 Originally from Ghana, Africa, Maame is currently living stateside as an HR Manager for ADP, after completing her MBA in Consulting & Business Analytics from George Washington University. 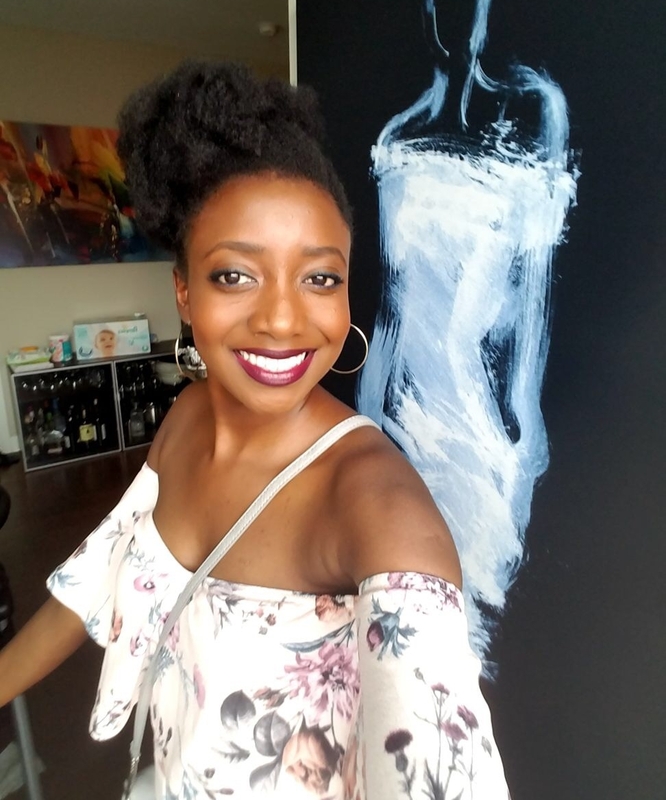 With experience in auditing, client care and human resources, she's a badass international Babe who's a people-person with a knack for data-driven analytics: a rare and impressive combination that we hope to one day master ourselves.Thanks for chatting with us, Maame! You are absolutely a hustlin' Babe. My sister, Mame Minkah. (I bet you thought that was a typo, but we do have almost the same name.) She balances being a business systems analyst, super-mom to two amazing kids and manages to still have time to be an awesome sister, friend and role model. It rotates between TV shows, shopping, brunching with friends or catching up on some much-needed sleep. Lip balm. Chapped lips are not attractive! Eyeliner. It’s amazing the difference that line makes. We have a rice and beans dish in Ghana called Waakye, but the best part is the fixings that come with it (eggs, stew, etc.). It’s delicious! Ed Sheeran! I didn’t even have to think twice about that. It might be a slight obsession. If I could be anything in the world (if talent wasn’t a requirement), I’d be an actor in Broadway shows. I’m a human resources (HR) project manager with ADP in the Global Enterprise Services division. My projects range from working on a global rollout of an HR product to getting involved with tracking progress against HR strategy. Each project is unique in its own way, and that it keeps things interesting. I’m never bored, and I get to work with people from all over the world. Most of my day is spent on the phone, in conference calls, or on Skype. The projects I’m involved in are so different, it’s hard to craft a "typical" work day, but my most enjoyable ones start around 7:30 a.m. with calls to clients in Europe, and end late at night with calls to clients in the Asia region. When and how did you get into HR? In college, I was a business major. The majority of my classes were in either accounting or finance, so Wall Street seemed like the obvious aspiration to have. No one on Wall Street hired me, but I was determined to make it work somehow, so I moved back to Ghana and worked in risk management for a bank. I didn’t enjoy the work, but mama didn’t raise no quitter, so I stuck with it. Due to a family emergency, I had to quit and take a six-month hiatus from employment. I stumbled into HR in 2013 when I took a job as an HR relationship officer for an outsourcing firm in Ghana. It was supposed to be a temporary gig for a couple of months until I found a “real job,” because I was 99.9% sure I was supposed to be doing something in finance. I ended up loving it, though, and never looked back. What draws you to HR compared to other sectors of the business world? For a long time, HR was greatly overlooked in the business world. Management underestimated the importance of the people who do the everyday tasks and how they make or break a company. It’s definitely changing now, with more emphasis on people analytics and how human capital contributes to the bottom line. It’s a great time to be in this space. I started out in recruiting, then went into training and now i’m involved in project management on the HR strategy side of a business. My time in HR has evolved a lot over the last four years. 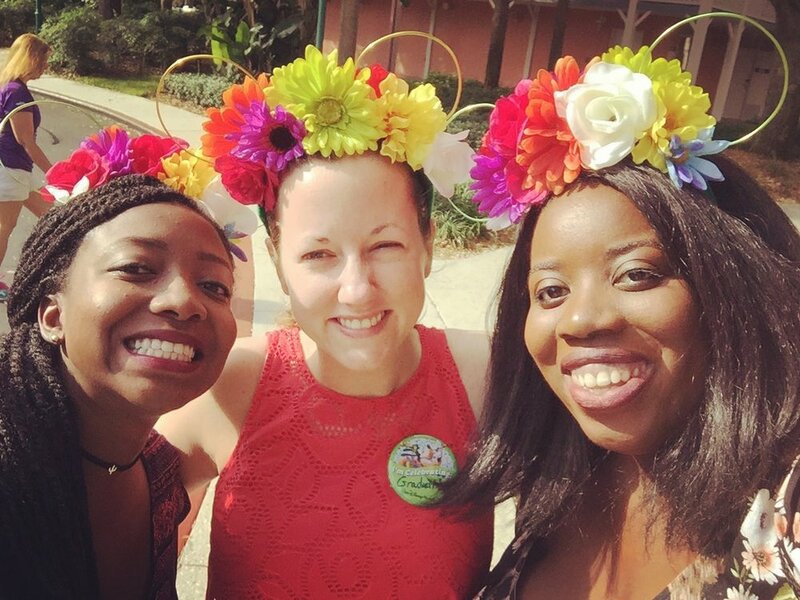 What is your work environment and office culture like at ADP? ADP is an awesome place to work because it feels like family. The organization is pretty flat and it's relatively easy to schedule time on people’s calendars, regardless of their position. People are willing to help out and answer questions when you start, so you don’t feel like you’re out in the wilderness all by yourself. How do you manage to stay on top of things and stay organized in your work? I haven’t always been great at this, but I’ve started writing everything down and keeping a checklist of my daily tasks. Somehow, being able to physically cross an item off the list is so satisfying that it makes me want to get more done. There two misconceptions when people think of HR: 1. That it is a separate entity from the rest of the company; 2. That all we do is hire and fire people. What’s something anyone pursuing a position in HR should know before entering the field? It is crucial that you enjoy interacting with people. How would you say your gender ethnicity have affected your professional experience? Coming from Ghana, I grew up in a culture that is very hierarchical based on age or position. Challenging people older or in a higher position than you is discouraged, and this is something that I find myself still having to overcome in work settings. In the early weeks at work, I would find myself waiting to voice my opinions to colleagues after meetings were over, which wasn't beneficial to the team as a whole. As I've gotten more comfortable with corporate America, I’ve learned to force myself (regardless of how uncomfortable it might feel sometimes) to speak up and share my opinions. In the HR space, being a nice person is necessary. This doesn’t mean you should be a pushover; it’s more about how you treat the people you interact with. The second thing - which I believe applies to any industry - is networking. Build your network, but be purposeful about it—quality over quantity. Your skillset will only get you so far. Knowing the right people can make a world of difference. Advice I got from a mentor: be specific and intentional about what you want your career to look like. All photos are property of Maame Akua Minkah. Grammarly is the world’s leading automated proofreader that checks for more than 400 types of spelling, grammar, and punctuation errors while enhancing vocabulary and suggesting citations. (The BWH community are HUGE fans of Grammarly and can't quite imagine our lives without it at this point.) Check it out; thank us later.